BEST ROAD ROUTE FROM MUMBAI TO GOA (Via PUNE): Mumbai – Pune (NH4 Expressway) – Kolhapur – Sankeshwar – Sawantwadi – Goa. The Mumbai – Pune – Kolhapur – Sankeshwar – Amboli – Sawantwadi – Goa route along National Highway 4 (NH4) is the BEST ROAD ROUTE from Mumbai to Goa because most of the journey is on two very good national highways (6 lane Mumbai – Poona Expressway highway NH4 and 4 lane Pune – Kolhapur – Belgaum – Bangalore national highway NH 4). NH 4 is part of the Golden Quadrilateral Mumbai-Pune-Kolhapur-Belgaum-Hubli-Bangalore-Chennai National Highway. Total Journey Time Mumbai to Pune to Goa via NH-4 route: 10:00 to 11:30 hours of travel time if journey starts at night and 12:00 to 14:30 hours if journey starts during the day time. Please read the “Recommended Time to Travel from Mumbai to Goa” section on tips on when to travel. 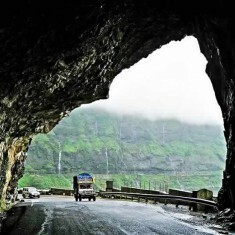 Take the Sion-Panvel Highway which meets the Mumbai Pune Expressway (NH4). The landmark at the start of the Mumbai – Poona Expressway is a large McDonald on the left. The Mumbai – Pune Expressway is 94.1 kms. NOTE OF CAUTION: The Expressway ends in a sharp 90 degrees right turn. Drive slow to avoid hitting the wall. MAIN LANDMARKS: Sion, Priyadarshani Bridge, BARC flyover, Vashi Bridge, Palm Beach Road, Belapur, Mumbai Pune Expressway. The Mumbai Pune Expressway ends and merges into the Pune Bypass. This is the National Highway 4, (also called NH48). Take this smooth highway from Poona until Sankeswar, passing Satara and Kolhapur on the way. On the highway (NH4), from Pune to Kolhapur there are 4 Toll collection points (“Toll Naka”) at Khed-Shivpur, Aanewadi, Taswade and Kini. NOTE OF CAUTION: During the day time many motorcycles use this highway. Please be cautious. At the approach to Sankeshwar, there is bridge and a road going under it. The Landmarks at the start of the bridge is “Hotel Sai“ and a Petrol Pump. Take the road under the bridge (the bridge road goes to Belgaum, DO NOT TAKE IT). The road under the bridge splits into two roads, the left road (East direction) going to Sankeshwer town and the right road (West direction) going under the bridge to Gadhinglaj, Ajara, Amboli, Sawantwadi and Goa. From Gadhinglaj to Ajara to the start of Amboli, this road is State Highway (SH) 134. From Amboli to Sawantwadi it is SH 121. In some places the condition of the road is good and in some it is average. At Amboli there is 5-7 Kms of Western Sayadhari Ghats (hills). Total Distance from Sankeshwar to Sawantwadi: 99.3 km. 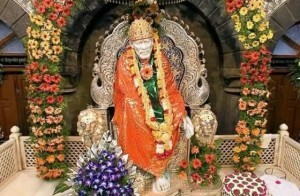 MAIN LANDMARKS: Gadhinglaj (14 km from NH4), Ajara (23 km from Gadhinglaj), Amboli Ghats (Hills section) (33 km from Ajara), Sawantwadi (29.3 km from Amboli). From Sawantwadi to Goa the road is the straight National Highway 66 (previously known as NH 17), which is the Mumbai-Panvel-Goa-Mangalore-Kochi National Highway. Nice road, except near the Goa “Check Naka” (Toll Point). Click on this link for Detailed Road Directions and Road Route from Mumbai to Goa Via Pune. NOTE: Beyond Kolhapur, there are many ways of reaching Goa by crossing from Pune-Kolhapur NH4 to Mumbai-Goa NH 66. This link shows the alternate road routes to reach Mumbai – Goa Highway NH66. It is a two lane highway with a single lane in each direction. Overtaking is DIFFICULT and DANGEROUS. This also reduces the speed of the car. For most part, the highway lanes are not separate, so there is onward traffic to contend with. NH17 passes through many towns rather than bypassing them like NH4. This increases the journey time. Since this is the main highway in the Konkan region, it is a busy highway. There are many Ghat (hill) sections which make the journey dangerous and slow. It is especially dangerous in the rains. There are many ACCIDENTS and sadly DEATHS on this highway. Because the highway is narrow, any accident leads to delays. Expect long traffic jams during festivals (like Ganesh Chaturthi, Diwali, etc). In summary, when compared to NH4, the drive on the Bombay to Goa road, NH 66 (previously known as NH 17), is SLOW, TIME CONSUMING, DIFFICULT and DANGEROUS. Avoid this route if you can. From Mumbai to Goa: Start the journey anytime from 11:00 pm to 2:00 am in the morning. If the journey is started at 11:00 pm, one can reach Kolhapur by 6:00 to 7:00 am the next day and Goa by 10:00 am to 11:30 am. At night, the roads of Mumbai till the start of the Expressway are well lit. The expressway has less traffic, so it is easy to drive and same is the case with NH4. If one reaches Kolhapur by 7:00 am, one can avoid most of the motorcycle traffic which is a nuisance. 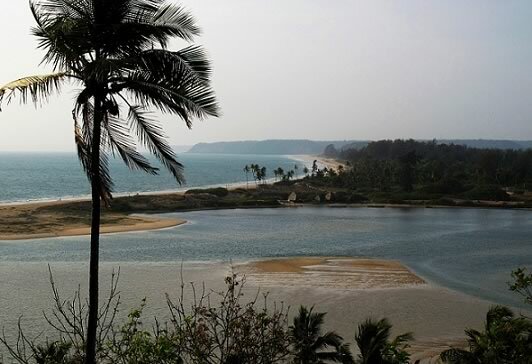 Sankeshwar will be reached early morning and stretch from Sankeshwar to Goa can be covered in broad daylight. From Goa to Mumbai: Start the journey from 4:00 pm to 5:00 pm so that the Amboli ghat section and a major part of the Goa Sankeshwar journey can be done in daylight. If one can reach Kolhapur by 10:00 pm, most of the motorcycle traffic should be over by then and hopefully the traffic on NH4 will be relatively light. One can reach Mumbai between 2:30 am and 4:00 am the next day. This will help avoid Mumbai frustrating morning traffic jam. Please refer to the map. The Mumbai – Pune – Kolhapur – Sankeshwar – Sawantwadi – Goa route on the NH4 (also called NH48) is the best road route because most of the journey is on two very good national highways. The first part of the journey is on the 6 lane Mumbai – Pune Expressway highway (NH 4) and the second part of the journey is on the 4 lane Pune – Kolhapur – Belgaum – Bangalore national highway (NH-4 / NH-48). So even though this Bombay – Goa road route is 50 kms more than the NH17 Mumbai – Goa route, it is a much SMOOTHER, FASTER and SAFER drive than the awful two lane NH17 route. Total Time Mumbai – Pune – Goa via NH-4/NH-48 route: 10:00 to 11:30 hours of travel time if journey starts at night and 12:00 to 14:30 hours if journey starts during the day time. Please read the “Recommended Time to Travel from Mumbai to Goa” section on tips on when to travel. Towards the end of the Vashi Flyover there is a left turn to the Palm Beach Road. Note it is easy to miss this left if you are travelling fast. The straight road can also be taken to reach Belapur and Panvel beyond that, but truck ply on this route and it is not as good as the Palm Beach road. At night, the Palm Beach road has reflectors on the lanes and it is almost like driving on a runway. Take the Palm Beach Road to Belapur. Turn right from Belapur onto the Sion Panvel Highway. At the end of this highway and the start of the Mumbai-Pune Expressway is a big Mcdonald’s on the left. It is difficult to miss. The Bombay – Poona Expressway starts from here. MAIN MILESTONES: Sion, Priyadarshani Bridge, BARC flyover, Vashi Bridge, Palm Beach Road, Belapur, Mumbai Pune Expressway. At the end of the Mumbai-Pune Expressway (sharp right turn) there is a board sign that say “Mumbai Pune Expressway Ends Here”. The Pune Bypass – Satara – Kolhapur – Belgaum – Bangalore NH4 / NH48 highway starts immediately at this point. NOTE OF CAUTION: Please note that the Expressway ends in a right turn that is almost 90 degrees and very sharp. Apply brakes well in advance to avoid hitting the wall. As soon as the Mumbai Pune Expressway ends, the Mumbai Pune Bypass Road which is part of the National Highway 4 (NH4 / NH48) starts. Keep following the NH4 until Sankeshwar. It is a smooth straight road. The NH4 / NH48 is part of the Golden Quadrilateral project and connects Pune to Bangalore. Beyond Hubli, this highway is called the NH 48; hence some people also call the Pune – Kolhapur road the NH 48. The NH4 / NH48 is a beautiful concrete 4 lane road with 2 separate lanes on each side; so there is no onward coming traffic. Some sections (especially near Pune) are undergoing extension. In all there are 4 Toll collection points on this road. The Toll Nakas from Pune to Kolhapur and beyond are Khed-Shivpur, Aanewadi, Taswade and Kini. Just before Kolhapur there is a McDonald’s, one of the few good places to eat. NOTE OF CAUTION: Since this is a beautiful smooth road cars tend to drive over 100 km/hr. During the day time there are many motorcycles on this road, which effectively makes it a one lane highway for cars. It is common to see two slow trucks side by side trying to overtake each other and blocking traffic behind them. Trucks also tend to travel in the fast lane (right lane) to avoid the many motorcycles travelling in the left lane. Expect to see many motorcycles near the big towns of Satara and Kolhapur. Please read the “Recommended Time to Travel from Mumbai to Goa” section on tips on when to travel. There is a small ghat (hill) section of 4-5 km on the Pune Satara road, but this ghat is bypassed in the reverse direction because of a new tunnel through the hill. On the NH4 near Sankeshwar, there is a bridge which goes on to Belgaum-Bangalore. Before the bridge starts, there is a road that goes left under the bridge. At the start of the bridge is “Hotel Sai“. Take this left side road and DO NOT travel over the bridge. As you reach under the bridge, there is a road that goes East (Left) to Sankeshwar and a road that goes West (Right) under the bridge to Gadhinglaj-Ajara-Sawantwadi-Goa. Turn right under the bridge to Gadhinglaj. This is a two lane State Road which is patchy in parts and good in others. It is a fairly straight road, but do refer to the milestones below. 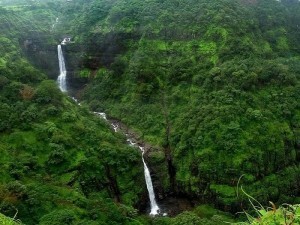 Amboli has 5-7 kms of Western Sayadhari ghats (hills). The Amboli ghat road is in okay condition, though there are one or two places where it is bad. Near Sawantwadi, there is a small bridge being built and around here the road is bad; otherwise the road is fairly good. MAIN MILESTONES: Gadhinglaj (14 km from NH4), Ajara (23 km from Gadhinglaj), Amboli Ghats (Hills section starts here) (33 km from Ajara), Sawantwadi (29.3 km from Amboli; this is State Highway 121). Total distance from Sankeshwar to Sawantwadi is 99.3 km. NOTE: Just before the Sankeshwar bridge there is a small board that says “Road To GANDHINGLAJ”. When you see this sign post take the left side road and then a right turn under the bridge. There is NO SIGN POST that states this is the road to GOA. NOTE: There is also a similar road from Nipani that passes Utter and leads to Ajara-Sawantwadi-Goa; but the writer prefers the Sankeshwar turn. The landmark for the Nipani turn is “Hotel Kaveri”, “Hotel Goa Ves”, “Hotel Satyawati Palace”, and “One Tree Café”. Sawantwadi is where the Bombay-Goa Road (NH-17) converges with this route. The distance from Sawantwadi to Panaji, Goa is 58kms. At the checkpoint between Maharashtra and Goa, the road is awful. After the Goa Check-Naka, for the next 3-4 kms the highway is under construction and in one or two places the road is bad. Beyond that the road up to Panaji is a beautiful smooth road. This road is part of the NH17. This is an enjoyable drive. Beyond Kolhapur, there are many ways of reaching Goa. The problem with many of them is that they are through State Roads, whose condition is unpredictable. Some of these road routes are listed below. Kolhapur to Gaganbawda (State Highway SH 115) to Telere Naka (on NH17) to Goa on NH17. Average condition of state road, but lovely forest. There is a high ghat section and at the top there is a beautiful view of the Sayadhari hills and forests. Kolhapur city has to be traversed, which takes time. There are multiple similar routes from NH17 to Kolhapur. Nipani Murgud Road (SH 116) to Murgud to Marutiwadi to Kankavli (on NH17) to Goa on NH17. Nipani to Utter to Ajara to Sawantwadi to Goa: Better route is Sankeshwar to Gadhinglaj to Ajara to Sawantwadi to Goa. Belgaum to Yaswantnagar/Date via Sh 121 to Amboli to Sawantwadi: Long route. Belgaum to Khanapur to Londa to Molem to Ponda to Panjim: Some stretches through the jungle are in very poor condition. Cars can break their axle here. Please enquire about the latest condition of the road before embarking on this route.